Brown Funeral Home is located in Kentucky. It is situated on 306 College Street, Elizabethtown. This funeral home was locally owned and is operated by the family. This funeral home was established by Robert and Mary Brown in 1972 and after 43 years of managing the family business, they stepped down and passed it to the second generation of Browns, Tommy and Lora. The Browns are known for their personal involvement with the in and out processes of their funeral home. Even the second generation and the current generation of Browns who are managing it are hands-on with the business. To date, the President of Brown Funeral Home is Tommy Brown. Currently, there are seven employees working at Brown Funeral Home, all are licensed in their fields such as being licensed embalmers and funeral directors. The services offered by Brown Funeral Home are embalming, preparing the deceased for the funeral, providing a casket, providing a vault, and providing a funeral service. A hall within the funeral home is properly arranged and decorated for a funeral service. For the caskets and vaults, Brown Funeral Home offers different types of caskets and vaults. They give their clients the option to choose from a bronze casket, copper casket, stainless steel casket, hardwood casket, and carbon steel casket. On their website, they provided basic information about each casket type in case you are not familiar with the difference of each casket. They also offer vaults and you can choose whether to have a concrete vault or a steel vault. For caskets, their provider is Batesville and Trigard Concrete for their vaults. Both providers have been known in the funeral industry and Brown Funeral Home is one of their top supporters. Brown Funeral Home also wants their clients to approach death prepared and they do it by offering pre-arrangements. Brown Funeral Home believe that with a preplanned funeral, you can ease the pain from your surviving family members as they no longer have to worry about your funeral. in addition, with a pre-arranged funeral plan, you can plan your own funeral from big details like your casket to small ones like the monument or graveyard to place on your grave site. At Brown Funeral Home, they offer pre-arrangement plans for as low as $100 to open an account. You can put money on it from time to time. Once the inevitable happened and die, your surviving family member will just pay the remaining balance. If you are preplanning your funeral and you want to check if Brown Funeral Home is the place you want to be, you no longer have visited them in 306 College Street as you can do a virtual tour on their website. At the virtual tour, you can view the halls for funerals and the entirety of Brown Funeral Home. For all of their clients who passed away, Brown Funeral Home keeps their obituaries and have it available on their page. What Do Their Customers Are Saying? Brown Funeral Home is not just servicing clients from Elizabethtown as they also serve the nearby areas of Cecilia and Glendale. The best way to contact them is by calling them at 270 765 2737 or by sending them an email at brownfh@windstream.net. Brown Funeral Home doesn’t have a testimonial page on their website hence no customer reviews can be found. 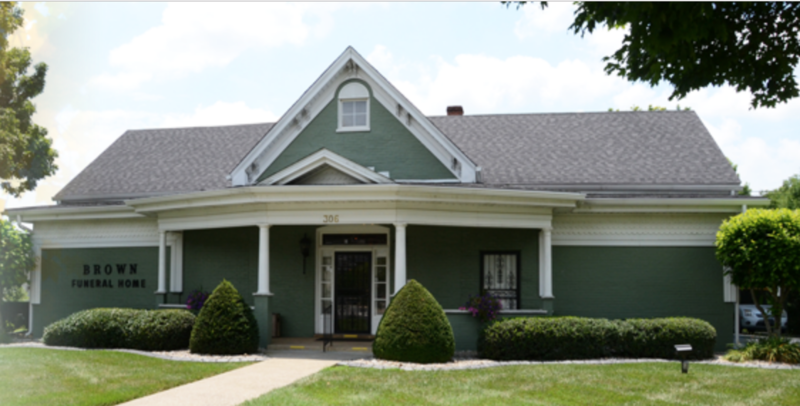 Based on the information found on their website, this locally owned and managed funeral home in Kentucky remains to be one of the most trusted funeral homes in their city. Their 40 plus years of experience in the business is a testament to how good their service is and how their clients supported them through the years.